What is it with balloons and kids? My daughter is always hunting them out and asking me to blow one up for her. This week I decided we were going to let science do the work. The balloon experiment was a huge hit. Your kids will love learning how to inflate a balloon with this simple science experiment! Fill 1/3 of the plastic bottle with equal parts of vinegar and water. 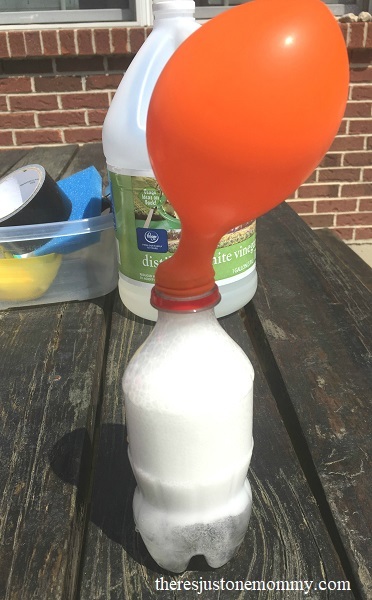 Using the funnel, put a heaping tablespoon of baking soda into your balloon. Stretch the mouth of the balloon over the bottle’s top, being careful to not spill the baking soda into the liquid. 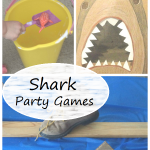 When you are ready, lift the balloon up and shake the baking soda into the vinegar mixture. The results happen almost immediately. As the baking soda and vinegar mix together they release carbon dioxide. 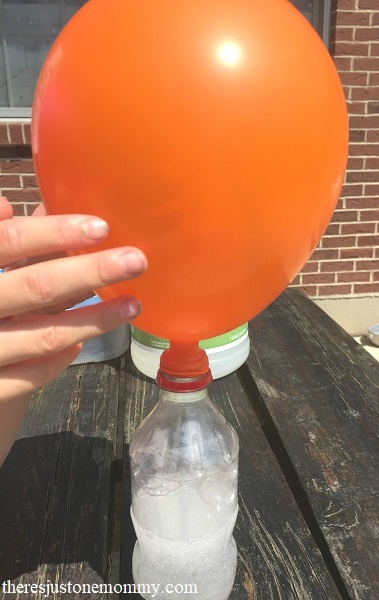 The gas bubbles up from the mixture and expands up and out of the bottle and fills the balloon. You can take the experiment further by changing a few things. We used a 12 inch balloon. If you have 2 balloons of different sizes you could try the experiment and see how the different sized balloons affect it. Or, try using more vinegar to see what happens. What happens if you use more/less baking soda? 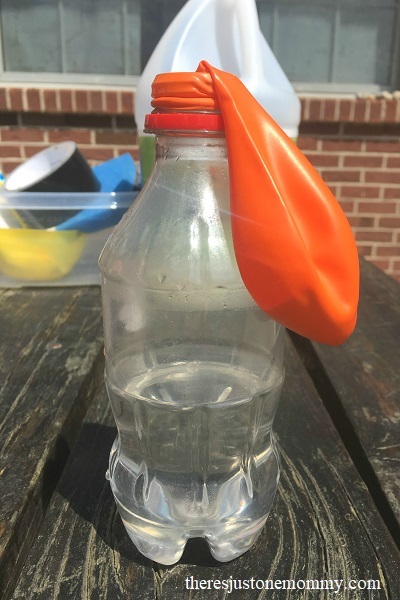 If your kids are anything like mine they will want to try this science experiment to inflate balloons over and over. 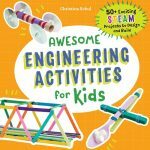 (My son is obsessed with vinegar and baking soda science!) 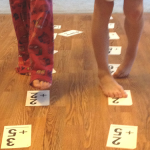 And since it is so simple, it is perfect for letting them experiment on their own. 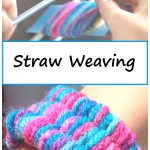 Subscribe to our email newsletter and get kids activities and crafts like this one delivered to you twice a month.